Renegades - Ninjas In Pyjamas (BO3 match) Pick: Renegades Odds: 1.53 (BetOnBit.com; MY BETSLIP) Even tho some people think NIP will take this, i dont think so. Yes, NiP is bigger name, yes NIP has better individual players, legends, but Renegades is playing much better lately. Im afraid NIP will crumble in this playoffs, and they wont pass Renegades. 2-1 for Australians. €200 on RNG. Fnatic - North (BO3 match) Pick: Fnatic Odds: 1.81 (BetOnBit.com; MY BETSLIP) Neither of those teams impressed me, North had so many fails lately. I was even surprised to see them in playoffs. This is 60-40 matchup in favour of fnatic if you ask me, i went €200 on fnatic ML, even tho North looks good in this tournament. FaZe - Renegades (BO3 match) Pick: FaZe Odds: 1.85 (BetOnBit.com; MY BETSLIP) This is like 50-50 match, FaZe is not doing great lately, Renegades won vs mibr 2-1, which is pretty good. I believe we will see all 3 maps, but i go with faze, pretty good odds for such team, they are playing unpredictable, they can win or lose vs weaker teams, but they can crush anybody i believe except Astralis. €200 on Astralis. Vitality - Fnatic (BO3 match) Pick: Fnatic +1.5 handicap Odds: 1.49 (BetOnBit.com; MY BETSLIP) Vitality is in great shape, i believe this match is 60-40 for Vitality, but fnatic has its own chance. Going for handicap on fnatic, i believe they can take at least 1 map, if not more. Safe bet, we will see. NRG - Fnatic (BO3 match) Pick: Fnatic +1.5 handicap Odds: 1.49 (BetOnBit.com; MY BETSLIP) Im not sure why NRG is favourite here, i believe in fnatic, they are playing decently this StarSeries. EU > NA. However i will play safe and go with +1.5 handicap on fnatic (they need to take at least 1 map), odds are ok.
ENCE - Vitality (BO3 match) Pick: Vitality Odds: 2.37 (BetOnBit.com; MY BETSLIP) ENCE vs Vitality. ENCE 2nd place at Major lately. Pretty good, but Vitality has impressed me lately, i think this will be close match and if you look up the odds, Vitality is good pick with 2.37 odds. 2-1 for Vitality i think. Natus Vincere - Gambit Esports (BO3) Pick: NaVi Odds: 2.27 (BetOnBit.com; MY BETSLIP) Hard match, Gambit surprised us all lately with their results @ Major. But NaVi is rising in form, and odds are just too good to missed it. I predict 2-1 for NaVi, and im betting on NaVi on 2.27 odds. I think it will be close match. OG - Alliance (BO3) Pick: OG Odds: 1.29 (BetOnBit.com; MY BETSLIP) Even tho odds are very low, if you bet high this is worth trying for. OG showed very good games yesterday vs Liquid loosing 1-2, but they played insanely good. ana is back, and Alliance cant do anything in this match i think. They are not on the same level. Ninjas in Pyjamas - The Final Tribe (BO3) Pick: Ninjas in Pyjamas Odds: 1.24 (BetOnBit.com; MY BETSLIP) 1.24 odds, but i dont think NiP can lose this, they are way too good lately to slip this win in qualifiers. 2-0 for NiP. Keen Gaming - Royal (BO3) Pick: KeeN Gaming Odds: 1.51 (BetOnBit.com; MY BETSLIP) KeeN Gaming is in good shape currently, i predict 2-1 for KeeN. mibr - Astralis (BO3 match) Pick: mibr +1.5 Odds: 1.82 (BetOnBit.com; MY BETSLIP) Astralis is no doubt the best team today, but mibr is looking good in this Major playoffs. I believe they wont be 2-0'ed by Astralis. They will give Astralis hard time. I predict at least 1 map for mibr. Natus Vincere - ENCE (BO3 match) Pick: ENCE +1.5 Odds: 1.57 (BetOnBit.com; MY BETSLIP) €200 on ENCE handicap +1.5 I think with their current form and gameplay they will for sure take at least 1 map from NaVi. NaVi has not impressed me. ENCE is potential underdog and i think they can even win. 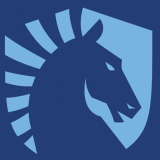 mibr - Renegades (BO3 match) Pick: mibr Odds: 1.60 (BetOnBit.com; MY BETSLIP) I think mibr will take this match easily, even if Renegades play amazing this Major. mibr 2-0 Renegades. Good odds on mibr ML. Team Liquid - ENCE (BO3 match) Pick: ENCE +1.5 handicap Odds: 1.81 (BetOnBit.com; MY BETSLIP) Liquid vs ENCE, hmm Liquid is much better team, but if ENCE repeat previous games they can take at least 1 map i think. Natus Vincere - FaZe (BO3 match) Pick: FaZe Odds: 2.27 (BetOnBit.com; MY BETSLIP) ll matches are BO3. Other 2 matches are played tomorrow, so ill place bets on them tomorrow. NaVi vs FaZe i think its definitely close match, i think 60-40 for NaVi, but FaZe can do it, crazy odds on them. FaZe - Cloud9 (BO3 match) Pick: FaZe Odds: 1.62 (BetOnBit.com; MY BETSLIP) Cloud9 looks decent, while FaZe had some troubles and fights vs lower tier teams. But this is deciding match, FaZe need to be on top to be in the top 8, i think they deserve to be there. 2-1 for FaZe, decent odds for FaZe ML win. Vitality - Ninjas In Pyjamas (BO3 match) Pick: Vitality Odds: 1.74 (BetOnBit.com; MY BETSLIP) Uff this will be very close match i think. 50-50 match, but i decided to go with Vitality, they showed better games in this Major. so 1.74 on Vitality win, pretty good. 2-1 for Vitality. ENCE - AVANGAR (BO3 match) Pick: ENCE Odds: 1.53 (BetOnBit.com; MY BETSLIP) ENCE is better team, and i think they will take this match easily. ENCE 2-0 or 2-1 for the top 8 of IEM. No surprises here. Team Secret - Gambit Esports (BO5) Pick: handicap +2.5 Gambit Odds: 1.71 (BetOnBit.com; MY BETSLIP) Betting Secret ML is not worth it, odds are so low like 1.071 or something. Handicaps in this case are pretty good. 1.71 on Gambit +2.5 handicap is crazy. This match is BO5, and it means that Gambit needs to take at least 1 map for us to win a bet. Possible, even if they lost 2-0 vs secret in upper bracket. Gambit Esports - OG (BO3) Pick: Gambit Odds: 1.92 (BetOnBit.com; MY BETSLIP) Gambit is looking extremely good in this ESL One, even tho i like OG more, i think Gambit will surprise us and take the match 2-1. Odds are pretty good too, worth risking. Virtus Pro - Evil Geniuses (BO3) Pick: handicap +1.5 EG Odds: 1.57 (BetOnBit.com; MY BETSLIP) VP vs EG will be a close match. EG vs CCnC is playing surprisingly good, and even tho i think VP in general is stronger team, handicap +1.5 on EG is a good bet with decent odds. It means EG needs to take at least 1 map in BO3 series. Which is highly possible. OG - Fnatic (BO3) Pick: OG Odds: 1.90 (BetOnBit.com; MY BETSLIP) OG is looking crazily good. I predict they will fight for the title with Secret. Fnatic has nothing to do vs OG. OG 2-0 or 2-1 win vs fnatic easily. Sooo good odds on OG, worth betting.